Member of the Standing Committee of the Political Bureau of the CPC Central Committee and premier of the State Council. Wen Jiabao, a native of Tianjin, was born in September 1942. He joined the Communist Party of China (CPC) in April 1965 and began working in September 1967. He graduated with a major of geological structure from the Beijing Institute of Geology. He undertook postgraduate study and now is an engineer. 1960-1965: Student majoring in geological surveying and prospecting of the No. 1 Department of Geology and Minerals at Beijing Institute of Geology. 1965-1968: Postgraduate majoring in geological structure at Beijing Institute of Geology. 1968-1978: Technician and political instructor of the Geomechanics Survey Team under Gansu Provincial Geological Bureau and head of its political section. 1978-1979: Member of the Standing Committee of the Party Committee of the Geomechanics Survey Team under Gansu Provincial Geological Bureau and deputy head of the team. 1979-1981: Deputy section head and engineer of Gansu Provincial Geological Bureau. 1981-1982: Deputy director-general of Gansu Provincial Geological Bureau. 1982-1983: Director of the Policy and Law Research Office of the Ministry of Geology and Mineral Resources and member of its Leading Party Member Group. 1983-1985: Vice-minister of Geology and Mineral Resources, member and deputy secretary of its Leading Party Member Group and director of its Political Department. 1985-1986: Deputy director of the General Office of the CPC Central Committee. 1986-1987: Director of the General Office of the CPC Central Committee. 1987-1992: Alternate member of the Secretariat of the CPC Central Committee, director of the General Office of the CPC Central Committee and secretary of the Work Committee of Departments Under the CPC Central Committee. 1992-1993: Alternate member of the Political Bureau of the CPC Central Committee, member of the Secretariat of the CPC Central Committee, director of the General Office of the CPC Central Committee and secretary of the Work Committee of Departments Under the CPC Central Committee. 1993-1997: Alternate member of the Political Bureau of the CPC Central Committee and member of the Secretariat of the CPC Central Committee. 1997-1998: Member of the Political Bureau of the CPC Central Committee and member of the Secretariat of the CPC Central Committee. 1998-2002: Member of the Political Bureau of the CPC Central Committee, member of the Secretariat of the CPC Central Committee, vice-premier of the State Council, member of its Leading Party Member Group and secretary of the Financial Work Committee of the CPC Central Committee. 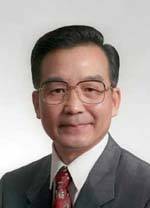 2002-March 2003: Member of the Standing Committee of the Political Bureau of the CPC Central Committee, vice-premier of the State Council, member of its Leading Party Members' Group and secretary of the Financial Work Committee of the CPC Central Committee. March 2003-: Member of the Standing Committee of the Political Bureau of the CPC Central Committee and premier of the State Council. He was member of the 13th CPC Central Committee, alternate member of the Secretariat of the CPC Central Committee, member of the 14th CPC Central Committee, alternate member of the Political Bureau of the CPC Central Committee, member of the Secretariat of the CPC Central Committee, member of the 15th CPC Central Committee, member of the Political Bureau of the CPC Central Committee and member of the Secretariat of the CPC Central Committee. He is member of the 16th CPC Central Committee, member of the Political Bureau and its Standing Committee of the 16th CPC Central Committee.